On the day of the quadrennial local elections in South Korea, a movement went viral to cast invalid votes as a protest against the lack of female candidates. A Korean hashtag, which translates into “(write) ‘female politicians’ on ballot,” started appearing on Twitter several days before the June 13 elections kicked off. As of Wednesday afternoon, tens of thousands of posts with the hashtag or those mentioning the issue have poured out online. One Twitter user who used the hashtag clarified the instructions: First, vote for women candidates. If there are none in your district, either write down a demand for more female politicians on the ballot, or vote for a party other than the ruling Democratic Party. The movement has reportedly gained support on Womad, an online community website which claims to advocate radical feminism. As writing on a ballot without choosing a candidate would eventually be a spoilt vote, the movement has fueled a debate online. 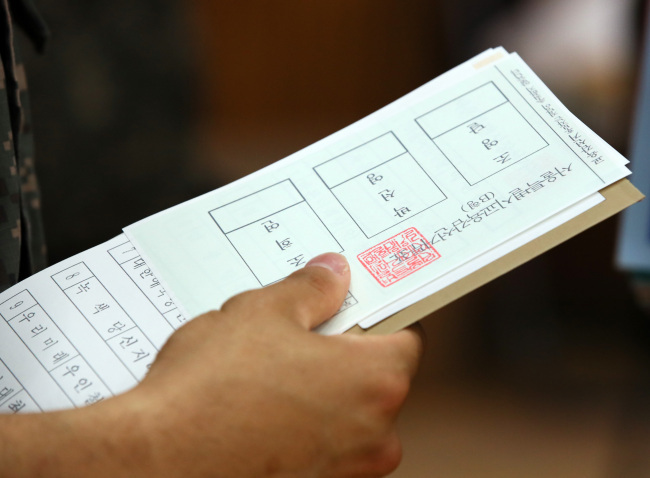 A tweet which has been retweeted around 1,500 times as of 4 p.m. Wednesday claimed, “Such invalid votes will have no impact at all,” as “reasons for casting invalid votes are not (officially) counted.” Some others lashed back, saying that the movement has already caught enough attention to be reported via local news outlets. For this year’s local elections, women account for less than 10 percent of all mayoral and gubernatorial candidates.